Differential Shaft is a sophisticated winding shaft for slitter rewinder machine, used as duplex shaft winder (center winding type). 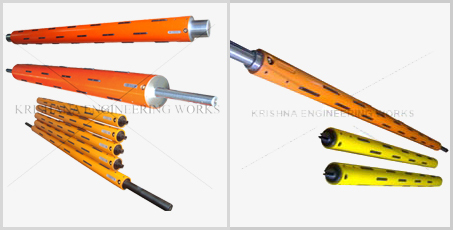 This shaft consists of slotted shaft, rubber bladders, hard and ground steel cage with ball type gripper. Teflon® strip for better slippage and self lubricating segments separating two adjacent steel cages. 8. 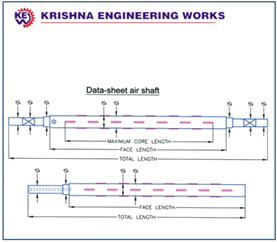 SLEEVE BORE / O.D.